Cognac, Armagnac, Brandy… different names for a similar product. But certainly not the same. 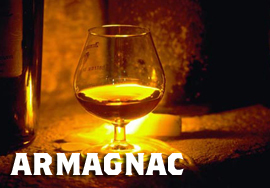 Armagnac actually predates Cognac but has never caught on quite the same (think: Kevin Dillon and Matt Dillon). 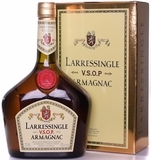 Armagnac is distilled from wine typically on a column still (versus the pot stills that cognac is typically distilled on) and like Cognac, bears the name of the region from which it hails and bears similar VS, VSOP, XO and Hors d'Age classifications, but vintage Armagnac can also be released. It is often distilled only once but at a lower proof so it usually is not watered down or supplemented with artificial colors resulting in a livelier spirit.